Nurses are trusted health professionals. Approximately 45 percent of the nursing workforce in Iowa comprises of Licensed Practical Nurses. If you’re considering a career in nursing, you should be compassionate, caring, detail-oriented, flexible, and responsible to work with patients and families with acute and chronic diseases. LPNs work primarily in long-term care settings, clinics, home health care and physicians’ offices. Nursing education programs provide the foundational knowledge and skills students need to function as a part of a healthcare team. Training also prepares graduates for the NCLEX-PN for state licensure. Successful completion of the NCLEX-PN and other Iowa Board of Nursing requirements gives candidates the authorization to practice as Licensed Practical Nurses. Perform other tasks that the supervisor deems necessary as long as they fall within the regulatory guidelines. To obtain the Board’s approval to take the NCLEX-PN exam, you must complete an approved program comprising of classroom and supervised clinical training. The clinical experience is a mandatory component of all board-approved programs as it equips student nurses with the “doing” principles to reinforce the theoretical instruction in the classroom. It is the clinical experience that helps students build integral, critical thinking skills for solving problems on the job. Enrolling in a program is a competitive exercise, especially in light of the small number of approved institutions in the state. Only applicants 18 years and older with a high school diploma will be eligible for admissions. The school may require prospective students to attend an informative orientation session before enrolling. Other requirements for entry will include a criminal background check, CPR card, TB clearance, a vaccination record, a physical exam, and prerequisite courses, such as medical terminology, chemistry, anatomy, and physiology. Check the school’s NCLEX-PN pass rate as it demonstrates the school’s commitment to ensuring students’ success. Graduate nurses are eligible to take the licensing exam and/or progress to associate nursing degree programs. Duration and Cost of Training: Nursing graduates can expect to spend up to $11,200 to complete a practical nursing program in Iowa. The estimated cost is based on the full-time schedule and assumes that the students have completed all the prerequisite courses. Part-time students will pay more for training. Prerequisite courses, textbooks, and administrative fees will increase the final cost of the program. Financial aid may be available for qualifying students. The National Council Licensure Examination (NCLEX-PN exam) has one purpose: To determine candidates’ readiness to practice as entry-level nurses. The computer adaptive test will be different from others exams you took during your nursing education. Rather than test your knowledge alone, NCLEX-PN tests your application and analysis of the knowledge you gained during your educational program. It tests your ability to use critical thinking to make sound judgments. Registering for the exam is simple and convenient using the online portal, or you may register by phone if it’s more convenient. Pay the $200 registration fee using your credit card during the internet or phone registration. If a money order or cashier’s check is your preferred method of payment, you should register for an account online, print the payment voucher, and enclose the money order/cashier’s check with the voucher. Register for the exam and state licensure by exam at the same time. The Iowa Board of Nursing must authorize your request to take the exam, and they can only do so after reviewing your completed application (for licensure), your nursing education transcript, and criminal background report. Pearson Vue will send the Authorization to Test (ATT) letter after the Board approves. Both applications will expire 90 days after receipt of the ATT letter, so it vital that you schedule and take the exam within that timeframe. If you fail to take the test, you must resubmit both applications. 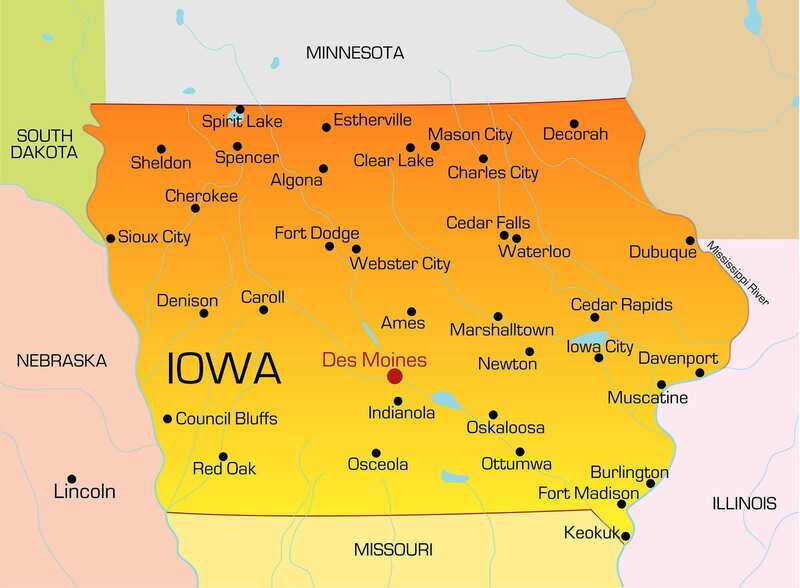 Iowa has three testing centers – West Des Moines, Coralville, and Davenport. However, you may take the test in any state for licensure in Iowa. Persons with disabilities may request special testing accommodations. It is ideal to pass the test the first time. However, if you fail the test, you can retake it after a minimum 45-day wait. You will receive an NCLEX Candidate Performance Report (CPR) with your results. The CPR is a great resource that you should review to identify your weak points and succeed on your next attempt. Successful candidates will obtain Iowa State licensure, which includes the authority to work in other NLC states. No person shall engage in the practice of nursing without holding a license in active status issued by the Iowa Board of Nursing. Licensed Practical Nurses are responsible for reading and understanding the rules and regulations embedded in the Administrative Code and to adhere to the scope of practice and evolving standards of care. To qualify for a license, applicants must graduate from a board-approved nursing education program with the criminal-free background. The candidate must also pass the NCLEX exam as prescribed by the board. The IBON is the only authority to determine a candidate’s eligibility to take the NCLEX, and can only grant approval after receiving a completed application for licensure by exam, two completed fingerprint cards, and a signed waiver form. The Board also needs to review official transcripts sent directly from the nursing education program – it is the candidate’s responsibility to arrange the delivery of the transcript if the educational institute does not send the transcripts automatically. Graduates of foreign programs should submit evidence of education in the form of an official evaluation report from the CGFNS. Nurses who reside in a state that is a member of the Nurse Licensure Compact Agreement must apply for licensure in their primary state of residence – this includes Iowa nurses. As part of the NLC, the IBON issues a multi-state license that lets license holders practice in other NLC states without acquiring a license. Complete the application for licensure by exam. You can also submit your application online. Disclose your Social Security Number on the application as required by the Iowa Code. The number is necessary to accurately identify licensees and check for outstanding child support, student loans, and debts owed to the state. Submit an application to Pearson Vue to take the NCLEX. Enclose the application fee of $143, which includes the fee to conduct the criminal history background check. The fee is payable via credit card online or with a money order, personal check, or cashier’s check by mail. All checks should be made payable to the Iowa Board of Nursing. Attach two completed fingerprint cards and signed waiver form. The application will be returned if the fingerprint cards and waiver form are not included. Include a copy of court documents and a brief summary of the conditions that led to the charge if you have a history of criminal offense(s) or disciplinary actions. Request your official nursing transcript to be sent directly from the program administrator to the Board of Nursing. The Board will retain the transcript on record for a period of twelve months. First-time testers and those retaking the exam more than 12 months after their initial application must submit fingerprint cards. The cards are available at the Board’s office, local police stations or sheriffs’ offices, and at nursing schools. The application is valid for the dates indicated on the ATT letter (90 days). You must resubmit an application to Pearson Vue and the Board if your ATT expires. To check the status of your application, you should use IBON Online Services and navigate to the “Check the Status of an Application in Process” tab. If you have a nursing license in a non-compact state, you may apply for licensure by endorsement to practice nursing in Iowa. The Board will return your application if you submit a request for licensure by endorsement while residing in a state that is a member of the NLC agreement. Your primary state of residence is defined as the state where you hold a driver’s license, pay taxes and vote. Online payment or check (business, personal, cashier’s check) or money order in the amount of $169 and payable to the Iowa Board of Nursing. The registration fee is non-refundable and includes the fee for the criminal records check. Official transcript from the nursing education program sent directly to the Board. The transcript should indicate the graduation date and degree conferred. Verification of your original license using Nursys or an Original License Form from the licensing agency from your original state of licensure. Include a copy of court records and a brief summary of the conditions leading to the charge if you have a criminal history. All applicants must provide a Social Security Number. Request a CGFNS Professional Report to be sent directly to the Board if you graduated from a foreign nursing program. You must hold a valid license/registration in the original country to be eligible for licensure by endorsement. LPN licenses expire on the 15th of the license holder’s birth month. Renew your license online with IBON Online Services. Your wallet card will reveal your license renewal date. You can renew up to 60 days prior to the license expiration date. Although the Board encourages online renewal and payment using a credit card for immediate processing, you may request a paper form in writing. There are no monetary penalties for failing to renew within the 30 days prior to expiration. However, failing to renew on time could disturb your ability to practice if the old license expires. Iowa law requires that the renewal be completed 30 days prior to expiration. If the renewal is submitted after the deadline, the Board will impose a $50 late fee. The IBON does not prohibit practice during the 30-day grace period (from the 15th to the 16th of the following month) but employers have the prerogative to prohibit practice during this period. Candidates who renew late will receive an audit of their continuing education activities. The renewal fee is $99. Paper submissions will be processed within three to five working days. The aging population and an LPN workforce on the verge of retirement contribute to the continued demand for practical nurses in Iowa. Nursing educational institutions should produce more graduates to meet demands. Instead, limited faculty and classroom space result in long waiting lists for enrollment. The job outlook for LPNs in Iowa is a bright one. According to a U.S. Bureau of Labor Statistics report, growth in healthcare outpaces other careers by more than 15 percent. The health care sector alone accounts for one out of every five new jobs in Iowa. 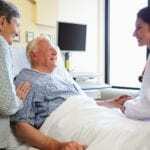 Recruitment for LPNs in long-term care accounts for a sizeable portion of new health care jobs. Nursing graduates will almost always find employment immediately after graduation to replace positions left vacant by retiring nursing. More than 52 percent of Iowa’s practical nurses are 58 years or older, so there will be greater demands in the next decade. New nursing graduates have to be competitive and flexible in their search for employment. There’s an abundance of new positions in long-term care and home health as administrators seek to care for an aging population. LPNs in Iowa earn a median salary of $35,710 annually. Don’t waste your time and money on getting your LPN. you basically do everything that an RN does, except do IV push drugs and you get half the wages. If you decide to go into nursing, go get your RN, preferably your BSN. If you want to go into supervisory positions get your masters. Keep in mind you are going to work every other weekend and every other holiday for the rest of your life. Work off shifts, miss family functions. All of that to be exposed to MRSA and a host of other diseases. Bitter much. You bet! Go into the technology world. Money is there. Hours are right. I loved nursing but in the end it uses you and then spits you out like garbage. You said the truth on that one. That is so true. You break your body down, suffer bladder infections, UTI’s, yeah, get MRSA (you could infecte the family), get yelled at by the superior nurse and family and patients. Yeah, missing family time you can’t get back. The money is good (if you work all day, every day). Take a good long thought before you decide to become a nurse. Wow very discouraging, so glad I never felt that way, I did however get tired of the burnt out that cones with nursing, so I changed to a different field of nursing I’m now teaching an love it. I’ve been an LPN for 30 years and it’s been a good career however if I were to do over, I would complete my BSN right away. That’s the future in nursing. Some people become nurses to help people, so do what makes you happy in life. Money is not everything stay away from bitter negative people is the best advice. I Love your say of thinking..Nursing should be for those whom have a compassion for life And well being of others.. I went into it to help people too. Or I wouldn’t have been a nurse for over 30 years. If ya work in a clinic there is a good chance you will be fine. I was referring to the clinical setting where there is a huge difference. Nothing against you gals and guys. Sorry if I offended you. Hope you have a long and successful career in the field you love. Cheers and God bless ya! I have my lpn license. I moved here from louisiana, now in Iowa while my husband is working. It is sad to say that lpns don’t get paid what they deserve. I truly believe I was taught in clinical and class enough to do as much as an RN Without the responsibility of course. No, money isn’t everything and yes we nurse because we love it but there is a very thin line between being licensed and registered. It just isn’t acknowledged. Nursing homes, assisted living places work their employees doing double shifts too often and work very hard and the pay is despicable for what they do. That is why they have such a big turnover of help. They charge ridiculous money to be there, but can’t afford to pay their help a decent wage! Greed! Wee said Judy Pohlad Slagle. !! Sadly, since I am an unemployed LPN, I went to the Iowa State Fair on the last day to talk with DMACC regarding different training. I learned- much to my shock, that they no longer offer the LPN program! Urged me to get my RN or take a demotion and become a CMA! I had to take orders from CMA’s at my last job. After 35+ years I think I am done. What a disappointment. I agree that nursing homes charge their residents ( families) outrageous $. They are understaffed most of the time & don’t care. It called GREED. The time and price of schooling differ. And why does everyone say why waste your time cause the pay isn’t worth it. If your only in Healthcare for the money you should really find a different career. Positive thing about nursing is you will most likely always have a job! Iowa not known for high pay but is improving!! Been a nurse for 40 years!!! Good luck to those just starting their careers! ! 43% passing rate in Estherville?????? That’s horrible! It’s not just the pay,it’s the satisfaction one gets to help others.I have been a LPN for 35 yrs and have worked in many different areas of the nursing field.would not trade it for any thing.I just recently retired and I truly miss it. I am a retired LPN. I loved being an LPN. I worked always in a Hospital setting. Didn’t get paid a lot but was happy and was treated good. I loved. My patients and I went in to nursing to help outhers. I am so sorry that |you others look down on our profession with negative feelings. I am a LPN of 35 yrs. Currently unemployed and desperatley seeking work! Employers will not call me back and i am fairly certain it is because of my age. Oh i dont give my age on my resume but it is easy to figure out by when i graduated from nursing school. Now i have the major changes in the nursing arena facing me in 2020. I feel that if the LPN’S in Iowa had been better organized we would not be facing our demise in 2020. Correction, there is not one in Decorah, it is in Calmar at Northeast Iowa Community College. Sarah Hawkes thought this might be interesting to you. Anyone know if anywhere near the waterloo area still offers the lpn program? I know Hawkeye community college and Kaplan university only offer the rn. Courses. Also does the lpn program require the tease testing to be eligible for the program.